Maciej Zambon is a Polish DJ and producer based in Berlin, widely known as the head honcho of The Very Polish Cut-Outs and Transatlantyk. In 2009, the Polish electronic scene is almost non-existant at an international level. 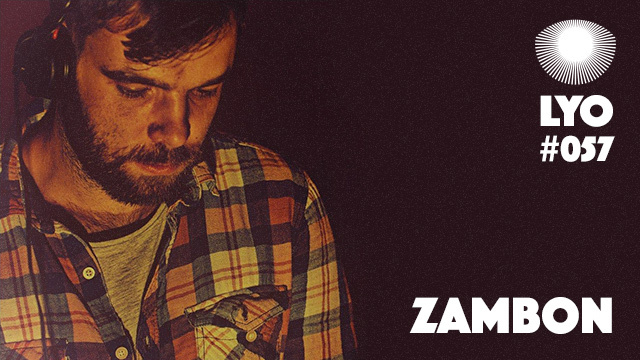 Inspired by a Baris K mix heard on Beats In Space, Zambon starts editing obscure 70s and 80s tracks from the Polish underground. One year later, the New-York based imprint Bumrocks releases his first edits EP entitled The Very Polish Cutouts, which sells quickly and is now highly sought after. It’s under the same name that Zambon co-founds that year with Kacper Kapsa an edits label in order to promote the new Polish house scene, consisting of young talents such as Old Spice, the duo Ptaki (LYO#043), Jazxing and Selvy (LYO#055). With the support of Todd Terje, Eddie C, Bill Brewster, Andrew Weatherall and a few other established DJs, The Very Polish Cut-Outs quickly becomes a reference and establishes the Polish scene on an international scale. In 2014, Zambon launches Transatlantyk, a label this time dedicated to original productions of his protégés. As of now, totting up six EPs, one LP by Ptaki and the acclaimed Polo House compilation released in 2015, Transatlantyk is constantly rising and creating a stir. Zambon is also a DJ with remarkable eclectism, and has just given us an exclusive raw mix of old-school house with no frills, enjoy !